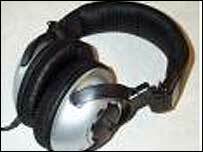 More realistic surround sound is being promised to music fans listening on headphones by researchers at the University of York. A smartcard that stores details about how a person hears sound is being devised by electronic experts which can then be fed into audio equipment. TV, music and computer games users will be able to have their head and ears measured at special high street booths. The information will be used to create tailor-made sound for individuals. Tony Tew, lead researcher at York, said: "We envisage booths in the high street, like those used for passport photos. "The shape information will be used to quickly compute an individual's spatial filters." Spatial filters examine how the features of a person's head and ears alter sounds before they reach the eardrum. 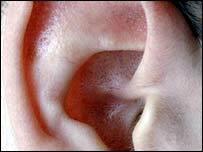 Each person will hear a sound differently depending on the shape and size of their cranium. This alters sounds as it changes its direction and supplies the brain with the information it needs to work out where a sound is coming from. Mr Tew said the measurements would be recorded on a card or downloaded from the internet and be readable by next-generation sound systems. He said the result would be a sound heard through headphones which should be "indistinguishable from hearing the same sounds live." Researchers in York are working with the University of Sydney, Australia, on how to convert the measurements into a format audio equipment can understand. It is also hoped the system could benefit hearing aid wearers as the devices could be programmed to filter out one sound while rejecting others, such as filtering voices from traffic noise. Mr Tew added: "Our main goal is for personalised spatial filters to figure in a wide range of consumer technologies, making their benefits available to everyone." The York researchers are funded by the UK government's Engineering and Physical Sciences Research Council (EPSRC).